Amy Isabel Mackay (née Little) was the wife of renowned Australian explorer and adventurer, Donald George Mackay. Before their marriage in 1902 Donald had travelled extensively throughout the world to such places as New Zealand, Hong Kong and Japan, where he collected such an extraordinary array of tattoos that his biographer, Frank Clune, likened Donald’s skin to ‘a walking picture gallery’. He also tried his hand at many pursuits including gold prospecting, pugilism and competitive sculling. In 1899, Donald heard that the professional bicycle rider, Arthur Richardson, was attempting to cycle 11,000 miles (almost 18,000 km) around Australia – a feat which had never before been accomplished. Whilst Richardson’s ride was still in progress, Donald not only decided that he too would attempt the marathon campaign with fellow riders Alec and Frank White, but that he would endeavour to beat Richardson’s time by riding in the opposite direction. Although his companions were unable to complete the long and arduous ordeal, Donald Mackay, an amateur cyclist, reached the General Post Office at Brisbane at 5:15pm on 27 March 1900, completing the journey in 240 days and beating Richardson’s freshly set record of 243 days. 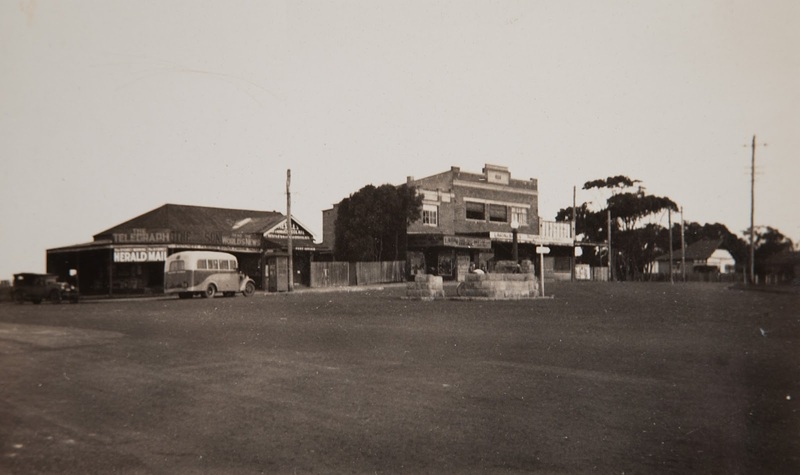 Two years later Donald Mackay and his young bride, Amy, settled into their newly erected home at Port Hacking which they’d named ‘Wallendbeen Lodge’ after the merino sheep station near Yass where Donald was born in 1870. 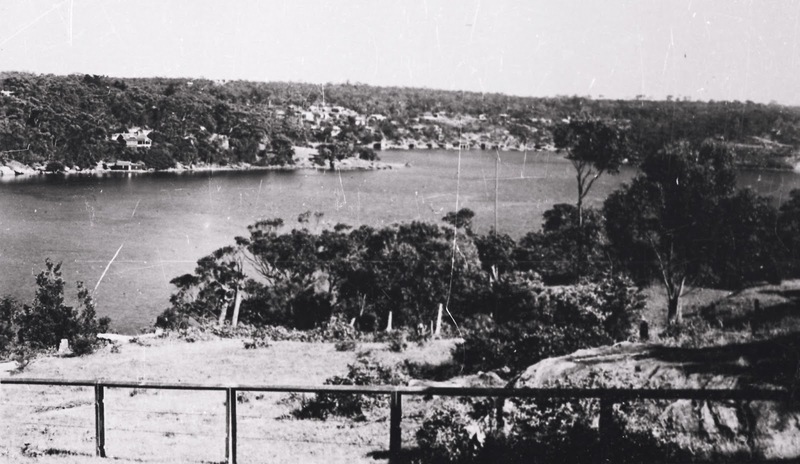 This beautiful and romantic Federation residence still occupies a prominent position as one of the deepest water frontages at Burraneer Bay. The couple shared a love of nature and Donald and Amy regularly enjoyed many of the outdoor activities Sutherland Shire has to offer such as fishing on the waterways, hiking in the National Park and taking a double-scull outrigger for a spin from Cronulla to Audley and back. “They say marriage is a lottery, with more blanks than prizes,” recalled Donald many years later, “well, in my case, my luck was in; I got a real sport for a life-mate.” For some years it appeared as though the adventurer may have settled down, but Donald’s days of roaming were not yet behind him. In 1926 Donald Mackay financed the first of his expeditions to Central Australia. Travelling with anthropologist, Dr Herbert Basedow from the University of Adelaide, he set out on camel to explore and cross the Petermann Ranges in the south-west of the Northern Territory. Earlier ventures by white explorers into this unforgiving land had been met with death and disaster, but Donald’s careful preparation and dogged determination, coupled (crucially) with the assistance of the local Indigenous inhabitants, meant that the expedition successfully traversed nearly 1200 miles (1900 km) and added valuable geographical data to the official map of terra incognita. 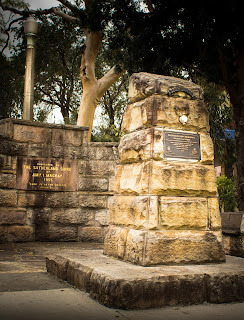 Despite these achievements, the Petermann Ranges is probably best remembered as the place where Lewis Hubert Lasseter (1880 – 1931) starved to death whilst searching for his mythical lost reef of gold. Over the next decade Donald Mackay led five further explorations to Central and Northern Australia. In 1928 he journeyed to Arnhem Land on horseback, again with Dr Basedow. In 1930, 1933, 1935 and 1937 Donald took advantage of developments in aviation technology and returned to the Red Centre where he supervised aerial surveys of huge tracts of previously uncharted areas. The Mitchell Library in Sydney holds copies of all Donald Mackay’s reports and the maps which have contributed significantly to increasing our understanding of remote areas of Australia. 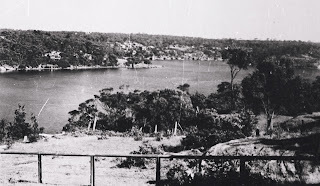 Additionally, during his 1930 expedition Donald discovered the large lake on the border between Western Australia and the Northern Territory which the Commonwealth Government later named after him. 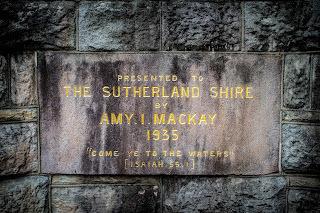 In their later years Amy and Donald Mackay contributed much to the Sutherland Shire through philanthropic work and regularly gave funds to help provide for distressed families in the Shire. 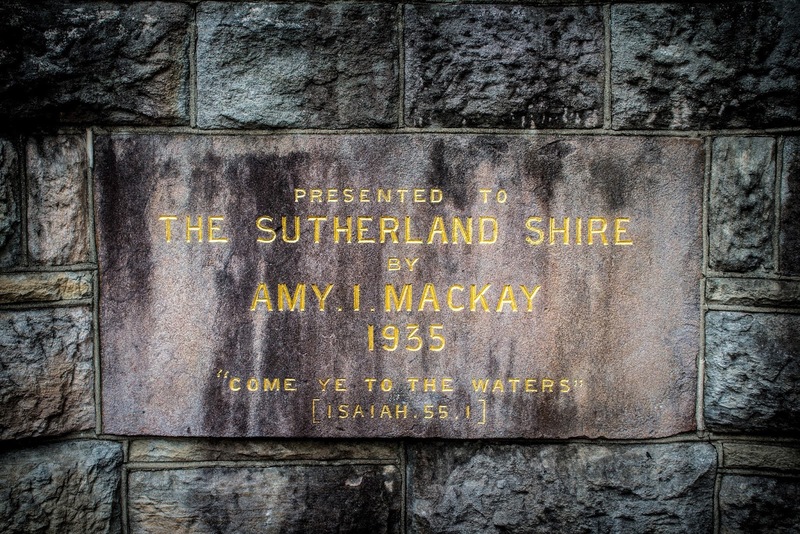 When Amy died in 1956 and then Donald in 1958, all those present at the respective Sutherland Shire Council meetings gave their condolences and stood in silent tribute.